Raise your hand if you were even slightly tempted to call in sick to work at least one day this week to stay home and watch the Olympics. At this very moment our living room television is featuring the women’s rugby competition. It is downright frightening. So many hands grabbing and gripping - and what seems like zero regulations. You know if this stuff had been going on at the playground when these kids were younger, there’d be a whole lot of Time Out. This wasn’t the only sport that caught our attention during the Games. Spouse, Second Born and I cringed through the first night’s nerve-wracking scenes during the men’s cycling, where the leaders suddenly found themselves careening off course, so close to the finish, ending their Olympic ride with broken bikes, bones and hearts. The next day Second Born and I were clutching our seats during the women’s cycling, unable to look away as riders risked their lives riding like the wind through Rio’s mountain ranges. In the final moments we were convinced the lead rider was at the very least critically injured when she crashed (we learned later she was badly injured but would be all right). The U.S. cyclist catapulted to the front and looked sure to win. Then a small wolf pack of adrenaline soaked competitors swept past her just as she could almost touch the finish line. The trio took the top three spots, crushing the U.S. rider’s dreams. A little less exhausting but just as mesmerizing was the synchronized diving competition. The three of us had our own version of judging going on, tossing out comments about who was perfectly aligned and who was just a bit off. We were sure we knew a great dive when we saw it. According to the actual judges who – you know – do this for a living, we didn’t. As a mom, my biggest concern was whether those suits were going to stay on. I could imagine some poor diver’s mom closing her eyes praying for minimal exposure while she cheers from the stands. I had to consciously not hold my breath during the women’s gymnastics. How did they lift their bodies up from the floor as if they were attached to strings? I’m clutching the coffee table to pull myself up from hours of TV viewing… unless there are M&Ms just out of reach. That would be what I call incentive. Did you happen to catch the freestyle swimming? The speed, the form, the accuracy – it was all breathtaking. In fact, I look just like that when I’m swimming at the Y. My laps are such a blur that you probably won’t recognize me, unless I’m just warming up. Or cooling down. Or trying to reach the other end of the pool while gasping for breath and craning my neck in an attempt to not get water up my nose, all while only occasionally slamming into the lap dividers and ripping the skin off various fingers and toes. Other than that it’s a complete blur… to me at least. I felt a little guilty about not spending more of the weekend outside, considering most of us try to cram 52 weekends of activity into a few short summer months. I admit I kept hoping it would rain, and not just because we desperately need it. But witnessing history in the making together was also rewarding and it led to some great conversations, especially about some of the personal stories we heard during the course of the week. We are an emotional lot. The kid and I shed a few tears learning about the backgrounds of underdog competitors who fought back physical, emotional and personal issues to be an Olympian. Even Spouse got swept up in some of the more moving pieces. So many of these stories were inspiring and uplifting. Some competitors came away with medals but all came away with memories to last a lifetime. From the quirky opening ceremonies to the final evening, the Olympics are several fascinating days of competition and camaraderie. 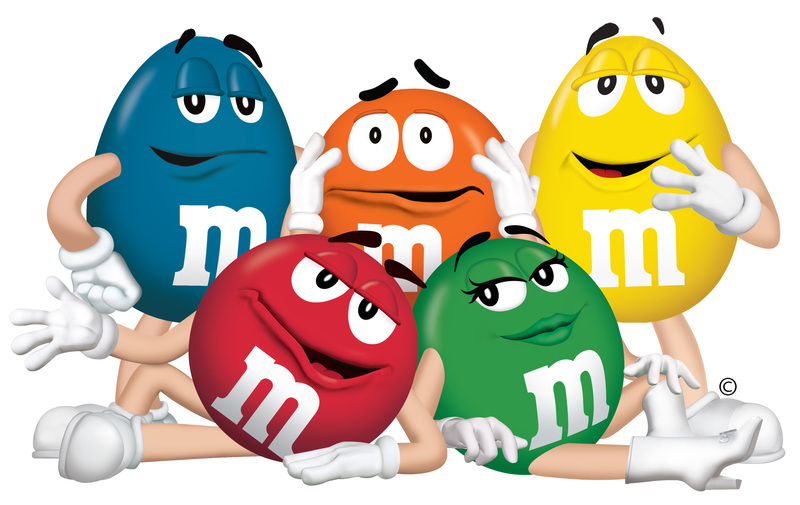 Even I am inspired… to move the M&Ms just a little farther away.